NEW YORK — Roger Federer predicts that this year’s US Open will be “epic” and the draw, which was conducted privately on Thursday morning and revealed to the public later in the afternoon, certainly indicates that the Swiss’ prophecy might come true. Defending champions Rafael Nadal and Sloane Stephens joined ESPN’s Chris Fowler and Tracy Austin, who was a champion in New York in 1979 and 1981, at the draw unveiling and the Spanish top seed says he’s well-rested and ready to go after skipping Cincinnati last week. “Rafa’s going to win the tournament,” said Stephens when asked who she thought was the US Open favourite. 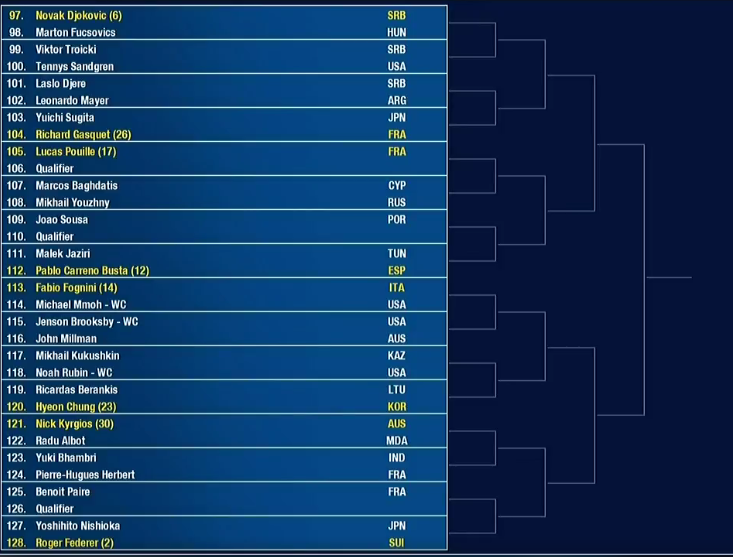 Here are the things learned from the 2018 US Open men’s draw. Defending champs Nadal & Stephens. Sloane says she won’t ask who her 1st round opponent is until Saturday. Seeded No. 6 this upcoming fortnight, two-time US Open champion Novak Djokovic fell in Roger Federer’s quarter of the draw. 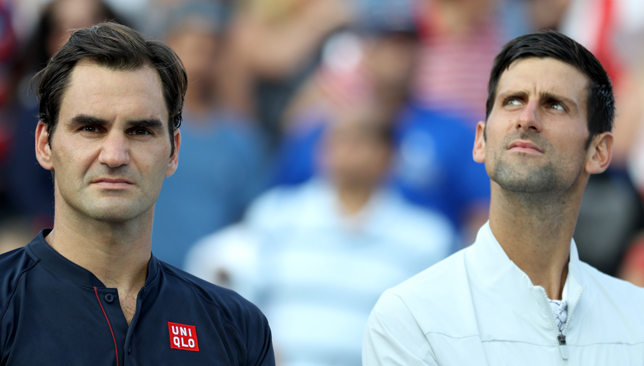 A blockbuster quarter-final between the pair would be a rematch of their Cincinnati final last week, where Djokovic beat Federer in two sets to become the first-ever player to win each of the nine Masters 1000 tournaments at least once. Federer won the US Open five years in a row between 2004 and 2008 but he hasn’t lifted the trophy here since, while Djokovic hasn’t triumphed in New York since 2015. They’ve both won Grand Slams this season though – Federer in Melbourne and Djokovic at Wimbledon – and are two of the main contenders for the title. The Federer and Djokovic rivalry has a long history at the US Open, where they’ve faced off six times. Djokovic defeated the Swiss on his way to both titles won in New York while Federer topped the Serb in 2007 in what was Djokovic’s first Grand Slam final. They are 3-3 head-to-head at the tournament. 2012 champion Andy Murray is unseeded and is back at the US Open – using a protected ranking – for the first time in two years, having skipped last year’s event with a hip injury, that later required surgery in January. Ranked 378 in the world and just seven matches into his comeback, Murray was handed a tough path as he opens against Australia’s James Duckworth before a possible second round against either Feliciano Lopez or Fernando Verdasco, and then No. 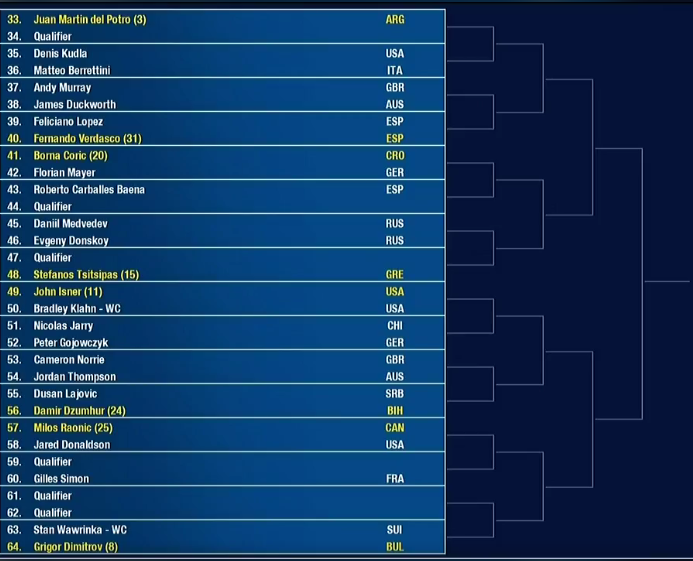 3 seed Juan Martin del Potro potentially awaits in the third round. Looks like it’s going to be far from a smooth ride for Murray. 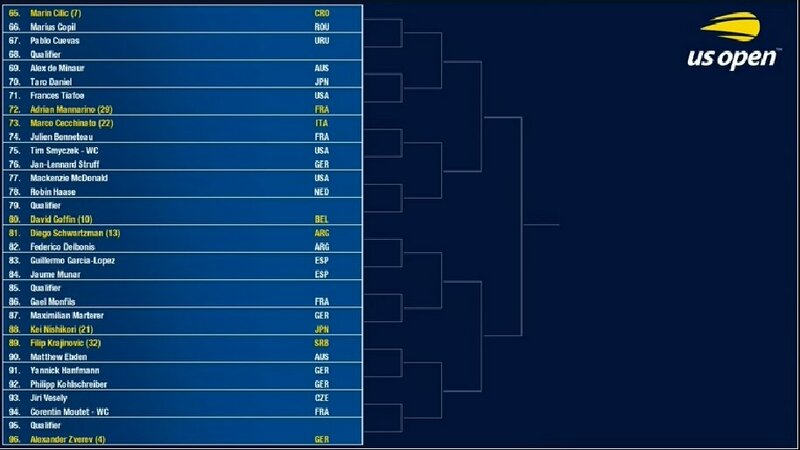 Others in that quarter of the draw include Stefanos Tsitsipas, Borna Coric, Milos Raonic, Stan Wawrinka and Grigor Dimitrov. 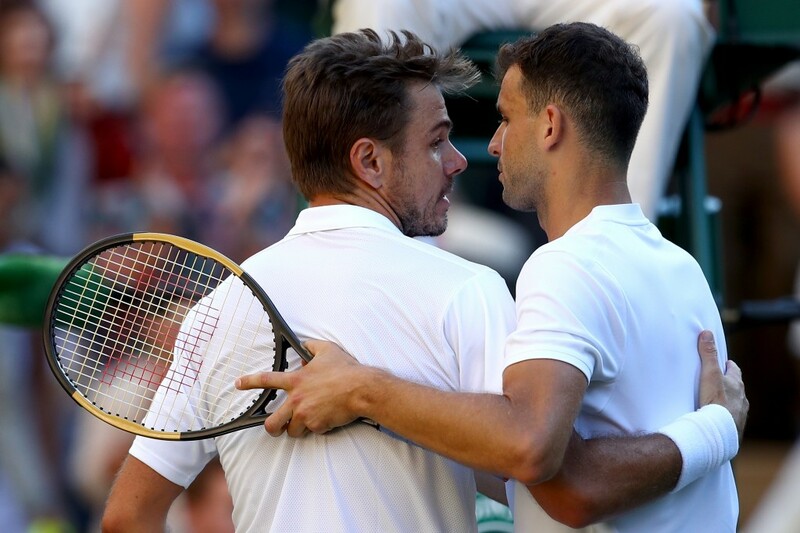 Speaking of Wawrinka and Dimitrov, the duo will square off in the first round for a second consecutive major after the former upset the latter in their Wimbledon opener last month. Wawrinka, up to 101 in the world and playing the US Open courtesy of a wildcard, won the tournament in 2016 and is finally finding his form after double-knee surgery kept him out of the game for six months last year, and three more months this season. The Swiss three-time Grand Slam champion made the quarters in Cincinnati last week, where he lost a tight three-setter to Federer and has defeated the likes of Kei Nishikori, Diego Schwartzman and Nick Kyrgios in the last three weeks. Dimitrov on the other hand showed some rise in form in Toronto (lost to Nadal) and Cincinnati (lost to Djokovic) but will be far from pleased with yet another brutal Slam draw. Before Federer even thinks of reaching the quarter-finals and possibly meeting Djokovic, he might have to take out unorthodox Frenchman Benoit Paire in the second round and Kyrgios in the third. Chung Hyeon or Fabio Fognini potentially await in round four. Federer is 2-1 against Kyrgios and eight of the nine sets they’ve played against each other have gone to tiebreaks. Definitely a third round to look out for. David Ferrer told Spanish press last month that he will play the US Open like it’s his last Slam, even though he hasn’t made any official announcements regarding his retirement, which is expected to take place next year in either Barcelona or Madrid. If it is indeed his last major, then his first round against Nadal is probably a great opportunity for Ferrer to bow out from Grand Slam tennis with one last epic battle with a long-time rival, friend and team-mate like Nadal. They’re already preparing Arthur Ashe stadium for this one. Armed with a new coach in Ivan Lendl, and searching for a first Grand Slam semi-final, the fourth-seeded Zverev was handed a very manageable draw before a possible tricky quarter-final against Marin Cilic. The young German has got Nishikori and Schwartzman in his section but has avoided the likes of Kyrgios, Dominic Thiem and Tsitsipas. Marta Kostyuk does not sound like your average 16-year-old. There is an edge to her speech, a heaviness to her words, and shocking honesty in her rhetoric. The Ukrainian teen has sped up the rankings this season, rising from 523 to a career-high 129 last month, and her rapid ascent has come with its own set of challenges. “For sure it’s been fast, but when you start to lose, you’re like ‘oh my God, I’m never going to play well again’. So it’s up and down,” Kostyuk told Sport360 during Wimbledon qualifying in June. “But I’m happy I’m going through this, I’m going to be stronger,” she adds sternly. She certainly showed incredible strength at the US Open on Tuesday, where she saved six match points and came back from 1-5 down in the final set to defeat Valentyna Ivakhnenko 4-6, 7-6(6), 7-6(4) in the first round of qualifying. She returns to the courts again on Thursday to face Czech Republic’s Marie Bouzkova. 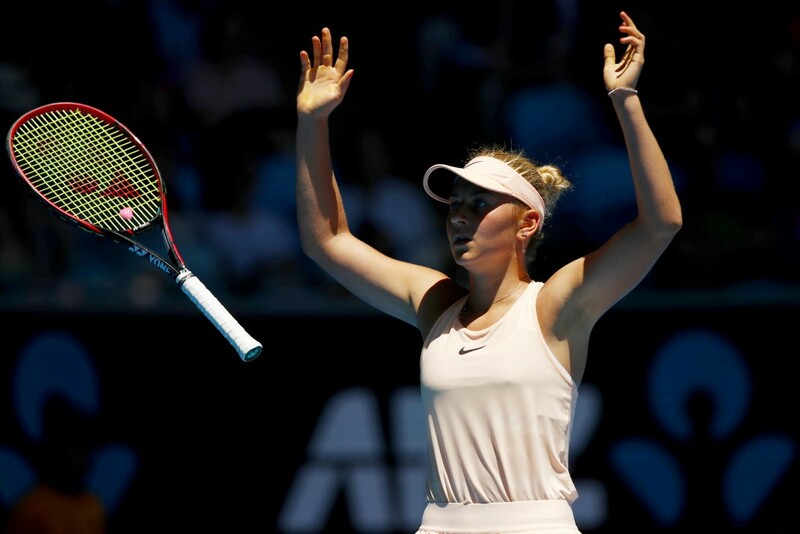 Kostyuk exploded onto the scene last January when she qualified for her maiden Grand Slam at the Australian Open, where she had won the junior title in 2017. The then 15-year-old took out Peng Shuai and Olivia Rogowska to become the youngest female player to win a main draw match at the Australian Open since Martina Hingis in 1996 and the youngest to make the third round of a Slam since Mirjana Lucic-Baroni in the 1997 US Open. Kostyuk kept up her good form and immediately won a $60k ITF title in Burnie then upset world No. 26 Daria Gavrilova in Fed Cup. Not many can follow up a breakthrough like the one she had in Melbourne with more success right away and Kostyuk herself isn’t sure how she did it. “I don’t know. It was probably my first big win so I had to prove that I have this level so I had to win it. And it wasn’t like I had to win, like I was crazy about it. It was just match by match, it was just my level,” she told Sport360 in an interview in Madrid in May. She qualified for the WTA tournament in Stuttgart in April and reached the last-16 before falling in three sets to world No. 7 Caroline Garcia. Things got tougher for Kostyuk after that. She won just three of her next 10 matches, and had trouble within her team that led to her splitting with her coach of 10 months Luka Kutanjac. She hired Dmytro Brichek, who previously worked with fellow Ukrainian Lesia Tsurenko, instead. Parting ways with Kutanjac was not easy. “I’m the kind of person, I’m so kind, even if we have so many problems, I’m going to wait until the end and everything will be completely bad so then I’m like ‘okay, we have to split’ and then I feel so bad, for weeks. It was the first time I’ve split with a coach and it was very tough,” she said on the sidelines of the Madrid Open. Managed by ex-world No. 3 Ivan Ljubicic, who is the coach of Roger Federer, Kostyuk has many eyes on her at this early stage of her career. She pays credit to the Croatian, who helps her navigate the emotional highs and lows of the tour, and says she is constantly learning and “growing not by days, but by hours”. Is there anything in particular she feels she is missing out on from a typical teenager’s lifestyle? “I don’t know, I’ve never been a teenager, I don’t know what they do. I don’t know what these crazy people do. Because I heard that they are crazy. I’m also crazy but not maybe that way crazy,” she concludes. Kostyuk believes she’s improving fast and is happy to forge relationships with her peers on tour. She gets along well with the Ukrainian players and was a bit surprised by how welcoming everyone has been. “So many people outside of the tour have such a bad opinion about tennis players. Especially about WTA, because I heard a lot of times that ATP players, they practice with each other, they don’t need sparring partners – in general women are complicated, there’s nothing to do about it, but it’s very nice and very friendly,” she explains. Since she’s still 16, Kostyuk can only play a limited number of professional tournaments due to age restrictions. She is so eager to play more and is frustrated by the rule. She also struggles with the constant scrutiny online although tries to ignore all the negativity on social media. “You post a photo from the beach, you lose a couple of matches and people are texting you, ‘why aren’t you practicing, why are you on the beach?’ and you’re like ‘oh my God!’. The people judge you so much that they don’t deserve an explanation,” she says. Kostyuk isn’t setting any high targets for herself and insists big goals are not her thing. “I don’t think if I’ll be world No.1 I’ll be the happiest person in the world, maybe I’ll be world No.1 and I’ll be so unhappy. That’s what I think. For me it’s just trying to enjoy the ride,” she said during Wimbledon qualifying. She admits that the most pressure she gets is from herself and is hoping to find a way to experience more joy from the sport. “I have to do it. From the beginning I wasn’t enjoying it. I liked tennis, I loved it, but I wasn’t enjoying it, because I’m a perfectionist, and everything had to be perfect. But now I have to, because otherwise I’m going to stop in one or two years,” she concedes. Serena Williams made just $62,000 of her $18.1m earnings in the last 12 months from playing tennis. 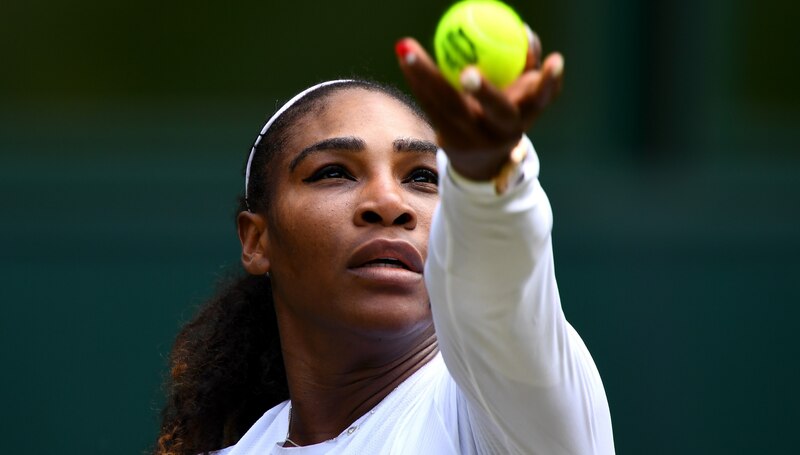 Serena Williams‘ total earnings ensure she tops the Forbes highest-earning female athletes list for the third successive year, with eight tennis players inside the top 10. The 23-time Grand Slam champion predictably tops the list, earning $18.1m (£14m) last year. She remains top of the pile despite earning just $62,000 (£48,050) from prize money during the past year – owing largely to her 14-month break to have a baby – but she still made $18m (£13.95m) through endorsements. Badminton’s PV Sindhu and race car driver Danica Patrick are the only non-tennis players inside the top 10. 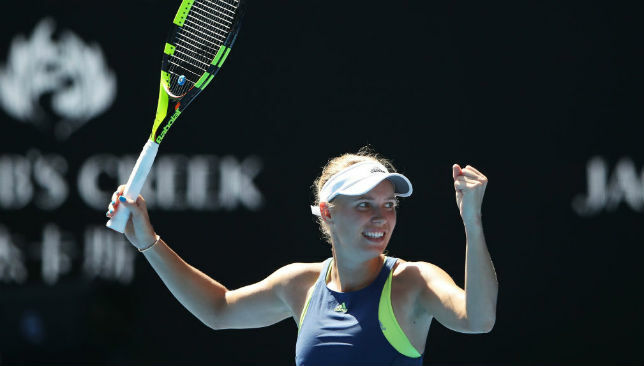 Caroline Wozniacki is second on the list having won her first Grand Slam title at the Australian Open earlier this year – a victory that secured her $3.1m in prize money to push her total earnings to $13m. Completing the top five are Sloane Stephens, Garbine Muguruza and Maria Sharapova. Russian Sharapova was the top-earning female athlete for 11 consecutive years but has seen her earnings drop after her 15-month doping ban. Williams’ total earnings ensure she tops the list for the third successive year, making twice as much away from the tennis court as any other female athlete. Caroline Wozniacki is second on the list. Indian Olympic and world silver medallist Sindhu and Patrick – the most successful female race car driver – are seventh and ninth on the list respectively. The top 10 highest earning female athletes earned $105m in total from June 2017 to June 2018. That figure is down 4 per cent from last year and 28 per cent from five years ago. In June, the Forbes rankings of the world’s top 100 highest earning athletes did not feature a woman after Williams dropped out of the chart. US boxer Floyd Mayweather topped the list followed by football’s Lionel Messi and Cristiano Ronaldo.